The F1 or Formula 1 car is a single seat car, that is in the highest class of any single-seater racing automobile. It is designed to give the driver full control of the vehicle and is made for racing and specifically for Formula One racing. Since it’s inception in 1950, Formula One racing has been the premier form of racing for this category of cars. An interesting fact to know is that the ‘formula’ in the name actually refers to the set rules that every car must conform to. The basic design is that it has to be a single-seater car, and the engine must have a 1.6-litre tank capacity with a limited rev of 15000rpm. Further specifications on the engine dictate that the six cylinders must be arranged at a 90° formation each with two exhaust valves, two inlets and a single turbocharger. The engine fuel flow is limited to 100k/hr and it has one tailpipe for the exhaust system turbine and the optional of one or two tailpipes for the wastegate. Any modifications or devices other than the permitted engine with one MGUK to propel the car is prohibited. All specifications and rules and for the fromula one car are sanctioned by the FIA (Fédération Internationale de l’Automobile). Formula One racing is traditionally based in Europe, however, over the years the championships has grown and become a global sporting event. In 2018 it had 11 out of 21 of its races outside Europe, in destinations like Melbourne, Shanghai, Adu Dhabi, Brazil, Japan to name a few. 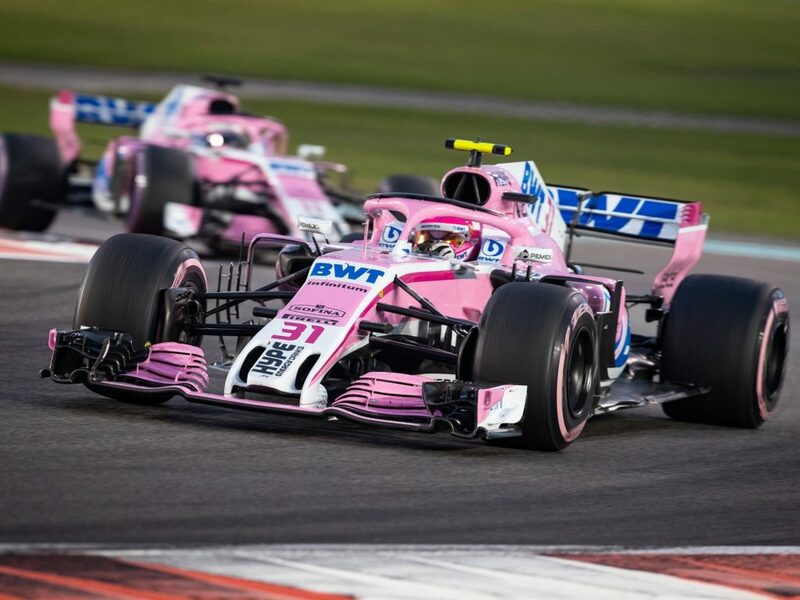 Check out the formula one calendar to see when this exciting championship will be coming to a city near you and get a chance to watch this super fast car in action. People who knew it will never ever forget the Volkswagen – the world’s largest selling make of car. This surely is one of the most remarkable cars ever built – a technical phenomenon really. The Volkswagen Type 2, known as the Kombi, Microbus or VW Camper was no different, never to be forgotten for its iconic design. The Volkswagen Type 2 multi-purpose vehicle graced our roads between the years 1950 and 1979 and was a blend of freight mover as well as a people carrier. Bernardus Marinus, known as Ben Pon became the first dealer outside of Germany to sell Volkswagen vehicles. 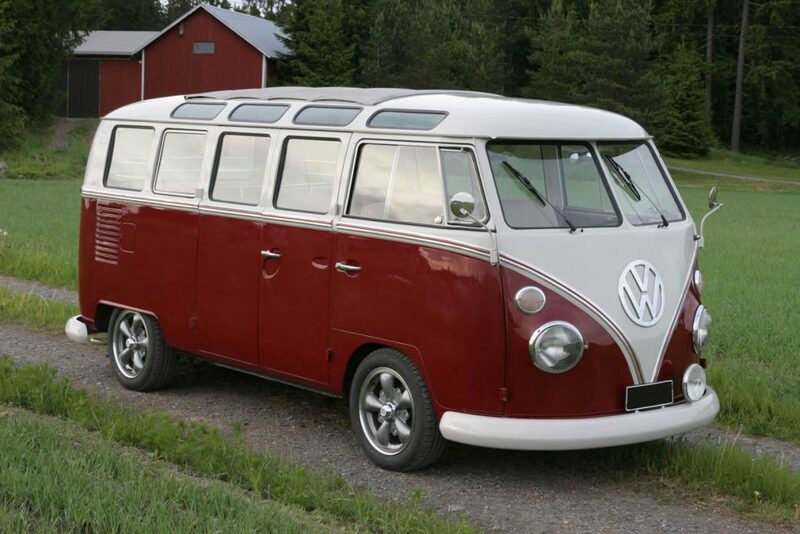 The first generation Volkswagen Bus had a 25-horsepower Beetle 1200 air cooled 4-cylinder engine – not fast but roomy, cheap and reliable. Known fondly as the ‘people’s van’, the Type 2 was available in the United States, but the engine rated at 30 horsepower at 3400 rpm. Three variants were available – the blue base Kombi, the green Micro Bus and the deluxe Micro Bus available in a combination of red and black and all with nicknames such as Clipper, Bulli, Hippie-bus and others. The secret behind Volkswagen’s success is the integrity of design and catering to the people’s needs – a cheap, reliable vehicle. Millions upon millions of people have owned a Volkswagen, and models such as the Volkswagen Type 2 can still be purchased when you go online or check out classic & vintage vehicles in car magazines, some of which are still in an immaculate condition. Talk of an SUV! 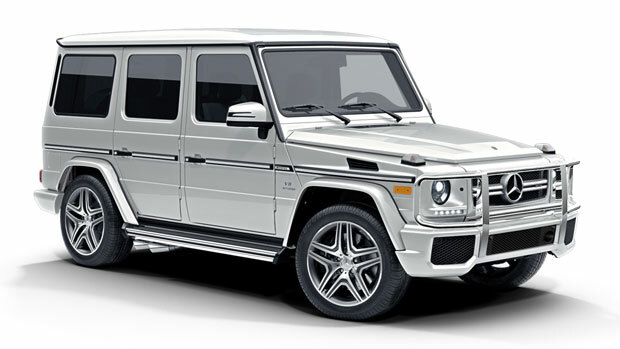 The Mercedes-Benz G-Class is one of the best SUV’s in town. This vehicle comes with one of the strongest engines ever built. It also comes with a leather interior. This German Machine offers the driver superb practicality even when doing high speeds. An average cargo space and adjustable seat too. Its reliability is average and thus very little times spent on downtimes. Everything you could imagine in a Luxury SUV! Notably, the rear and front differentials are well separated, with the front one residing independently on the front axle. This gives this SUV an off-road luxury touch such that you even might not even notice when the road is too bad. This type of axle arrangement gives this amazing piece of technology both a super On-Road performance. Also, an electrically powered steering wheel makes driving this vehicle a bliss even at relatively high speeds. This is one of the few vehicles with this type of engine. With such a technology, be sure to get some nice On-Road performance with power to the tunes of 416 hp and 450 lb-ft of torque. This performance is even made better by a 9-speed automatic gearbox. You can decide to use the paddle shifts too. This piece of technology can achieve a speed range of between 0-60 mph in a record 5.8 seconds. It can hit a top speed of 130 mph in a surprising 12 seconds. The off road capabilities of this vehicle coupled with the luxury it offers makes it any man’s wish. A revolution is in the offing and Tesla is sweeping the motoring off its feet in their bid to provide the world with electric cars. The company is also doing all that is its ability to ensure that they are also providing integrated renewable sources of energy such as solar systems. Tesla believes that their innovation is an idea whose time has come and cannot be stopped. As oil reserves in most oil-producing countries dwindle, the world still has something to smile about. The invention of electric vehicles with several battery options is a great reprieve to the motoring world. It is now possible to drive hundreds of kilometres in a Tesla car without a recharge. Such technological advances are very fundamental to drivers in terms of fuel cost savings. It also comes with a lot of convenience too. Tesla promises that their technology will go along way in conserving the environment. This has been proven by the current electric cars that do not need any gasoline refills. As an incentive for a job well done in preserving the environment, governments around the world are subsiding taxes for anyone buying electric vehicles from Tesla. A Tesla car is is a technology that comes in handy in the present day. With a wide range of benefits, ranging from convenience, environmental conservation and fuel saving ability, Tesla cars are an invention that here to stay. As such, it is prudent to embrace this technology and ride the wave too. 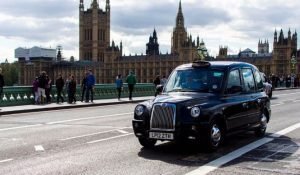 Hackney, hackney carriage, London taxi, black cab, cab, hack or London taxi are among the names given to United Kingdom’s taxicabs. If you want a fancy name, call them the London’s exemplary black cabs. Whether you are a tourist visiting London for the first time, or you are an inhabitant, moving around the capital in a hackney is worth every penny. Black Cab’s drivers know almost every street in London. You are wondering how? To qualify as their driver, one must pass the rare test known as “The Knowledge.” This strange test takes between 2-4 years to pass. Although that sounds like a long time, its worth it as these are the only drivers believed to possess outstanding visuospatial skills. Also, the drivers are familiar with a minimum of 25,000 streets and know all main arterial routes that run throughout London. You can book a London taxi online. This involves getting a cab at a fixed charge and this is beneficial when traffic gets bad. You can also catch a cab from the streets. Most of them are stationed along the streets, prominent places, the mainline rail and bus stations. You need to look for an orange light above a cab’s windscreen stating “For Hire” to hire one. Lyft is a taxi company which is currently Uber’s archrival. The headquarters of Lyft are currently in San Francisco, California but the company is seeking to expand globally. The company has shifted its focus towards Europe and is said to be targeting taking over the London market. This move comes just as Uber received a ban from the city. What Is Next For Lyft? Lyft has turned their focus also on providing their drivers with a more friendly app. The history of Lyft shows that the drivers lacked a means to communicate directly with the company so Lyft has come up with a 24/7 support app. The app allows drivers to receive suggestions on destinations where they can pick up fares, and it supports both the English and Spanish languages and gives the ability to contact customer care easily. Lyft’s managers have been reported to have held several meetings with the transport authorities in London. This comes amidst Uber’s troubles with the ban on some of their operations in the city. Reports show that Uber has dominated the London market but with the entry of Lyft in the city, stiff competition is expected. The move comes in a timely manner as Lyft seeks to expand their activities in Europe. 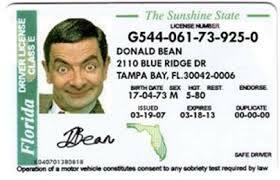 A drivers license is a certificate allowing you to drive an automobile (or motorised vehicle) on public roads. This certificate is issued after successful completion of a drivers test, which usually has two different parts. Drivers are asked to learn and pass an exam on two different areas of instruction, Theory and Hazard Perception. The instructional courses for each of these sections are conveniently offered online. A passing score on the theory test is 43/50. If you are nervous about the exam, you may choose to book a practice theory exam online. There are many sites offering this practice test, and you should read reviews of user experiences to ensure the site is reputable. Keep in mind, the fee charged for the practice exam through the direct.gov website is £25. Some sites will charge up to £62 for the same test without any additional benefits. Taking your driving lessons with an approved instructor is key. Good driving is about learning the rules of the road and how to recognise potential hazards. Choose an instructor who offers help and guidance with the theory test, as well as protection and safety (hazard perception). A passing score on the hazard perception exam is 44/75. Learning how this exam is scored is beneficial to passing the overall drivers exam. Good driving takes some practice behind the wheel with a good instructor. Additionally, you will be expected to know all the road rules and show competence in judging potential hazards. For a thorough understanding of each of these, additional services may be necessary through an online school. Online driving schools focus on preparing students for the driver’s exam, through practice theory exams, and potential hazard virtual reality training. Be careful to choose a reputable company, as many copycat sites abound.